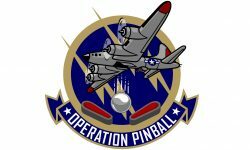 IFPA13 is the World Pinball Championship event operated by the International Flipper Pinball Association (IFPA). This document specifies the official operating rules and regulations of the event. 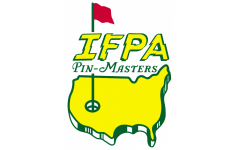 The event coordinators for IFPA13 are Josh Sharpe, Zach Sharpe, Roger Sharpe, Steven Epstein and Brian Woodard. Event coordinators organize volunteers, designate scorekeepers, handle malfunctions and rulings, delegate responsibilities and authority, and otherwise work to ensure the smooth operation of the tournament. Event coordinators and designated officials are not excluded from tournament play but will be recused from any situation that directly affects their actual or potential standing as a player. 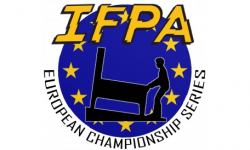 IFPA tournament rules are quite lengthy and detailed. They reflect the experience of many years of tournament and league play, under many different systems. 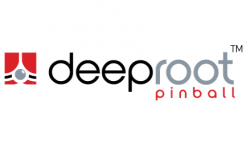 Many of the rules are based on rules used by the Professional and Amateur Pinball Association (PAPA). The underlying ideas are simple, however. The tournament consists of 8 sessions of qualifying rounds. During each session, players play against each other in three 4-player games. Players earn points based on their finishing positions, with the top 32 players advancing to the final rounds. In the final rounds, qualifying players play against each other in head-to-head single elimination matches until a winner is determined. Unlike most tournaments where the qualification process takes place over a couple of days at the tournament site, qualifying for IFPA13 is based on results from all the IFPA endorsed tournaments held over the past 3 years. 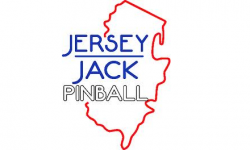 Utilizing its World Pinball Player Rankings, the IFPA has used the January 1st, 2016 rankings to determine the qualifiers for IFPA13. The tournament field will consist of 64 players. The top 2 ranked players from each eligible country as of 1/1/2016 will receive an automatic qualifying spot into the tournament. Should either of the top 2 players not be able to attend, that country exemption will move down the country ranking list until it is filled. The rest of the field will be made up of the most highly ranked players from the WPPR list. For players that cannot attend, spots will be filled by going down the rankings list. 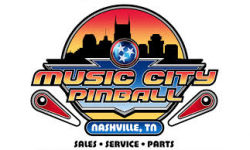 Additionally, 2 of the 64 spots will be made available at the 2015-16 IFPA US National Pinball Championship and the 2015-16 IFPA European Pinball Championship. These spots will go to the highest finisher of these events who did not qualify for IFPA13 through the automatic bid process. Contact the IFPA for these details. A one time entry fee of US$250 per player is to be prepaid prior to the event. US$50 from each entry will go to the IFPA host, to be put towards tournament expenses, with the remainder being paid back as cash prizes. Once registration is open, there will be a 2 week period of ‘Early Registration’ where players can pay a discounted entry fee of US$230. The tournament features a guaranteed package of cash prizes. Additional tournament expenses on top of the US$50 per entry are recouped through sponsorship dollars. In the event of an overrun beyond expenses, tournament revenue will be retained to finance the next IFPA event. In the event IFPA discontinues its events or is disbanded, any such retained revenue will be donated to charity. In addition, the top qualifier following the 8 sessions will receive a $200 cash prize. 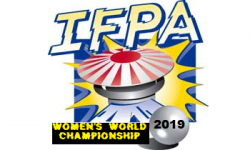 The winner of IFPA13 will also receive the title “World Pinball Champion”. 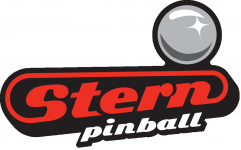 Once all participants are finalized, the 64 players will be ranked by their World Pinball Player Rankings standing as of 1/1/16. The field will be divided into 16 groups of 4 players. Each group will be assigned 3 games at random (1 ‘OLD’, 1 ’MID’ and 1 ‘NEW’). Groups will play from OLD to MID to NEW except when there is a conflict of multiple groups being put on the same machine. Should this occur, every effort will be made to shift lower groups first to a different game order, however, to best ensure that players do not replay games more than absolutely necessary any group has the chance of not playing in the order of OLD to MID to NEW. The scoresheets will show the proper order of how the games should be played from top to bottom. Each player will have the opportunity for 30 seconds of practice time before starting every game of every session. If you are in a session with an Epstein Cup competitor that played on one of the three machines chosen in that session, the other players in the group will get up to 1 complete game of practice if they choose, rather than just 30 seconds of practice before the tournament game starts. Choice of position for game 1 will go to the highest seeded player within that group based on the standings entering that session, second choice will go to the 2nd highest seeded player, third choice will go to the 3rd highest seeded player and the lowest seeded player will have the remaining choice. Please note that players do not need to announce their desired position choice until after a game has been selected if they prefer. In subsequent games, the player finishing in 4th place will have choice of position for Game 2. The player finishing in 3rd place will have 2nd choice of position. The player finishing in 2nd place will have 3rd choice of position. The player finishing in 1st place will have the remaining position. The rank of the player’s result on each machine awards the following amount of points. These points are cumulative over all 8 sessions when the finalists are determined. In the unlikely event of two or more scores on a machine being tied, an average point value of the tied positions will be awarded for each tied score. For example, a tie for 2nd place would earn each player 4 points. In the unlikely event that someone drops out of the tournament during the qualifying sessions, and a 3 person group is formed, scoring for that group will be 7 points for first place, 4 points for second place and 1 point for third place. 3 person groups will be formed based on where the missing players would have been grouped. Should 4 players drop out, we will instead form 15 groups of 4 rather than 12 groups of 4 and 4 groups of 3. Tournament officials will endeavor to provide up-to-date scores and rankings at all times, using a projected screen. The up-to-date scores and rankings will also be available on the http://www.ifpapinball.com/ Web site following each session. After Session #1 players will be ranked according to their first session scores. For session #2 through session #8 the groupings will be done according to the most up to date standings entering that particular session. In the case of players that are tied in total points after a given session, those players will be randomly placed in the different tied positions available. When all 8 sessions of the qualifying round have been completed, a final calculation of standings will be tabulated. Those scores will be ranked, and the top 32 players will advance to the final rounds. In the event a qualifying player is not available, he or she will be skipped in the ranking as if he or she had not qualified. Upon discovering that a player is not present, tournament officials will make a specific announcement for that player, allowing at least ten minutes but no more than twenty minutes, for that player to appear. Substitutions or late arrivals are not allowed. In the event that two or more players are tied on either the qualifying bubble or a potential bye, such that not all of the tied players can advance to the final rounds or receive the bye, a tiebreaking procedure will be utilized. A single game will be played on a machine randomly selected by tournament officials from the qualifying bank of games. Tournament officials will draw one ‘OLD’, one ’MID’ and one ’NEW’ machine at random. The players tied on the qualifying/bye bubble will be asked to vote by secret ballot for which game they would like to play. The game with the most votes will be the game used for the tie-breaker game. If two or three machines receive the same number of votes, the players will vote again from the machines that are tied from the original voting. If after the second round of voting there is still a tie, the game will be chosen at random from those three by tournament officials. The tied players will play, in randomly determined order, in a multi-player game on the selected machine, and will subsequently be ranked in the order of their scores on that game. If more players are tied than the selected machine will support in a single game, multiple games will be played to accommodate all tied players, in randomly determined order, and the resulting scores will be compared as if they had occurred in a single game on the same machine. This tie-breaking procedure is used to determine which players advance to the finals, and which players are eliminated. However, this one-game playoff will not affect the seeding of the tied players that do advance. The tied players that do advance will be ranked according to the methods of players not on the qualifying bubble (see next paragraph). In the event that two or more players are tied but are not on the qualifying/bye bubble, a simpler tiebreaking procedure will be used in order to save time. Tournament officials will examine the Session sheets to determine the head-to-head results for the players involved in the tie. A winning percentage will be calculated for each player involved in the tie, and the player with the highest winning percentage will be given the highest rank entering the final rounds. 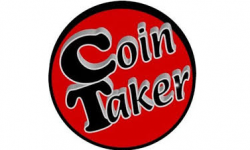 Should there be a tie in winning percentages between any of the players involved in the tiebreaker, original rankings used at the start of the tournament (1/1/16 World Pinball Player Ranking) will be used to rank the players in order from highest to lowest. Should a player not have a record against any of the other players involved in the tie, that player will be ranked amongst those tied based on their initial ranking entering the tournament. The remaining players will be ranked based on the initial tie breaking procedure of head-to-head record. The machines used for final rounds in each division will be the same machines used during the qualifying sessions. Players will be placed in a single elimination bracket based on the final seedings after Session #8 and all tiebreakers are completed. Players seeded 1 through 8 will receive 2 byes, while players seeded 9 through 16 will receive 1 bye. Each match will be a race to 4 wins (unless a match is tied 3-3 after 6 games where a sudden death tiebreaker will be played – see below). At the start of the match each player will choose an ‘OLD’, ’MID’ and ’NEW’ machine. The lower seeded player will choose the first machine, followed by the higher seeded player choosing the second machine. This picking order will continue until all 6 games have been chosen. A machine may not be picked more than once in the same match. Once a player verbally makes any choice regarding machine or position, they are locked into that decision. The higher seed will first choose whether they want to start on one of their own choices, or one of the lower seed’s choices. There should be no waiting for a game that is currently being played in another match. Please select another one of the six games chosen in an effort to expedite the match process. Position will be based on who originally selected the machine before the match started. The player that did not have the machine as a part of their three choices will have choice of position on that particular machine. The match will alternate between machines chosen by each player, until all 6 games are completed. Should a player reach 4 wins before all 6 games are completed, no further games should be played. Each player will have the opportunity for 30 seconds of practice time before starting every game of every match. This is to ensure that players that did not happen to play the chosen machine during the Session portion of the tournament has a chance to get familiar with the machine. Should the match be tied after these 6 games, the match will move to ‘Sudden Death’. This will be a best-of-3 match where any of the remaining machines are available to be chosen. This means that all 3 games of ‘Sudden Death’ can be played on the same era of games. The higher seeded player will have choice of machine or position for the 1st game, with the loser of each subsequent game having choice of machine or order. Consolation matches will be run differently from a normal finals head-to-head match. The 5th through 8th place match will be run similar to a qualifying session, while the 3rd/4th place Consolation Final will instantly be moved to ‘Sudden Death’ and will be a best of 3 match. First Place will receive the title “World Pinball Champion”. 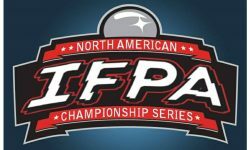 This title remains in effect until the next annual IFPA tournament, or will expire after two years if IFPA tournaments are discontinued. The unique charm of pinball lies, in large part, in the physical nature of the game. Unfortunately, this means that unusual events and outright malfunctions cannot be prevented, nor can they be perfectly compensated for. PAPA attempts to strike a balance between compensating for malfunctions and accepting the physical nature of the game. 1. If the machine’s software supports adding balls to a game already in progress, a tournament official will add a ball to the game in progress and the affected player will complete their game. All other players will continue to play their game as normal, without skipping a ball. If a ball becomes stuck during a multiball mode, the player should attempt to trap the other ball(s) in play and request assistance. A stuck ball during multiball often represents a significant beneficial malfunction, and intentionally taking advantage may result in a penalty. Please note specifically that a ball ending up in the plunger lane during multiball on a machine where there is no autoplunger (or where the autoplunger for some reason refuses to fire) counts as a stuck ball. and the ball must be plunged by the player. See “Beneficial Malfunctions” for further details. Any ball that comes to rest in an outlane, where any portion of the ball is below the outlane post, is not deemed a stuck ball. In these instances, players will have the option of attempting to free the ball themselves or to ask a tournament official to place the ball in the drain for them without triggering any additional switches. Please note that when this happens in multiball, in no way will a player be allowed to take advantage of this situation by continuing to play any other balls currently available. The situation of this ball that has come to rest needs to be dealt with immediately by either the player or tournament director. Scores will be kept on a disabled machine if the tournament is >50% through the qualifying process. If the tournament is <50% through the qualifying process, all scores will be considered void. 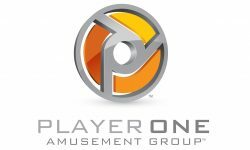 Players will be compensated with one game on a replacement machine, unless the tournament software allows the ability to track how many times that player had played the disabled machine. Any player who tilts his or her ball in play will not receive any penalty other than the normal loss of ball. Note that some older machines may penalize the player with loss of game; this is equivalent to tilting all remaining balls in order. Abuse of machines is covered under “Player Conduct”. Any player who tilts the ball of another player, either through interference or by tilting his or her ball so roughly that the next player’s ball is affected before play continues, will receive a score of zero for that game, unless tournament officials grant an exception based on the behavior of the machine in question. Because the tournament divisions consist solely of singles play, coaching of any player during a game, in any round, is not allowed. An exception is provided for Juniors play; Juniors players may have no more than one coach during their qualifying and final rounds of play. If a non-Junior player specifically requests advice on a game feature during play, his or her question may be addressed only by a tournament official, and answered only in terms of whether or not the machine is functioning correctly. Non-Junior players are not to seek assistance from other players or spectators. Informing player 1 too many or too few games have been entered into the machine will not be penalized as coaching. Rulings shall be made by tournament officials, which includes event coordinators and any person(s) designated as officials by the coordinators. Designated officials may have restrictions on the breadth of rulings, and may be overridden by tournament officials. Any designated official or event coordinator is excluded from ruling on any play situation that directly affects his or her actual or potential standing as a player. 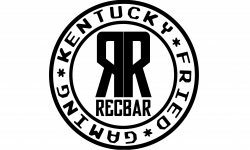 Such persons may also be recused where their decision affects a close friend or family member, at the discretion of other tournament officials. Final authority for any ruling, including rulings that contradict or vacate anything written in this document or in other IFPA materials, rests with the President of the International Flipper Pinball Association, Josh Sharpe. IFPA accepts all feedback and constructive criticism, including player complaints, without reservations. However, please recognize that IFPA strives to be fair even in the most difficult situations. 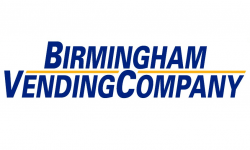 Complaints will be taken seriously, ruled upon, and considered resolved. Please note that older machines may have different settings, such as allowable extra balls, five-ball play, or a Tilt penalty of “entire game” rather than “current ball”. Players will play the game “as is”. For example, if a machine is set for five-ball play, groups may not end the game after three balls. Electromechanical machines will generally be set for five-ball play, but if they are set for three, they will be played as three. While efforts have been made to eliminate extra balls from machines, any extra balls earned should be played unless otherwise noted on the machine. If a machine is awarding extra balls, please bring this to the attention of tournament coordinators, who may need to address a problem with the machine between rounds. Machines used for tournament play will be prepared and kept in good working order to the greatest extent possible. Each machine will be properly leveled left-to-right and inclined front-to-back. Any player with a complaint or question about the hardware setup of a machine should make his or her inquiry in between games, or in between balls, if urgent. 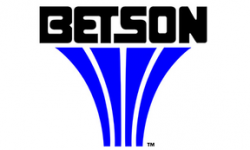 In order to best suit tournament play, certain machines may be subject to specific settings or rules adjustments, at the discretion of tournament officials. These adjustments will be made before tournament play begins, and will be documented if possible. The intent is to eliminate features which can be abused by skilled players, or which arbitrarily extend play time to a degree that would hinder the smooth progress of the tournament. Tournament location must be treated with respect at all times. IFPA staff or members of the location staff reserve the right to remove anyone from the property at any time. Any person(s) may be banned from the property at the discretion of tournament officials or location staff. Banned persons will be prosecuted for trespass if necessary. Playing areas must be kept clean at all times. Spills of any kind should be reported to officials immediately. Trash should be deposited in the provided receptacles. Please do not remove chairs from any area where they have been placed. All areas inside the building are strictly non-smoking. Smoking is restricted to designated areas outside the building. Violation of this and/or other rules may lead to ejection from the tournament. Weapons, illegal drugs, and alcohol are prohibited on the property. Naturally, any and all types of illegal activity are prohibited as well. All players are expected to conduct themselves in a polite and sensitive manner. Outbursts, especially those including indecent language, are unacceptable. 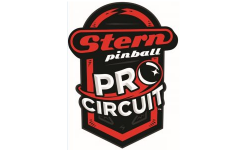 A wide variety of players and observers will be present, including media, and these types of outbursts do nothing to promote pinball as a sport. Any express or implied threats or actions of violence are grounds for immediate ejection from the facility, and authorities will be contacted. Other possible grounds for ejection include but are not limited to fraud, theft, illegal activity, harrassment, inappropriate behavior, public drunkenness, etc. Any person ejected from the facility is banned and may not return to the property. Banned persons will be prosecuted for trespass if necessary. A player may not intentionally cause a ball search in order to activate any feature of the game. Any player who is absent when he or she has a ball to play, whether in qualifying or final rounds, will be given a maximum of three minutes to return. After that time, a tournament official will plunge the player’s remaining ball(s) in play, until such time as the player returns. Any player who has an emergency should notify a tournament official, so that accommodations may be made. 7. Death Saves, Bangbacks, etc. Please note that gambling is illegal in our venue and the tournament does not endorse, condone, nor support wagering between players. We also feel that pinball is at least 75% skill-based, making any wagering at best ill-advised, in addition to being illegal. Similar to soccer, tournament directors can officially warn a player that their conduct is not acceptable by issuing them a yellow card. Any additional action which violates the player conduct rules can lead to a red card, and expulsion of the player from the tournament. Similar to other sports, at the discretion of the tournament directors, it is possible for players to be issued a red card immediately for their actions depending on how severe the action. The facility provides wireless Internet access service, at no charge. This is provided to our players and guests as a courtesy and we expect proper behavior. Any abuse or misuse of the service may result in ejection from the tournament and/or facility. Tournament officials will make every reasonable attempt to accommodate genuine disabilities, and may also elect, on a case-by-case basis, to ameliorate injuries or other hardships. Players who are not fluent in English are allowed to utilize a bilingual assistant in order to understand these rules, official rulings, and so forth. e. If a player verbally concedes for any reason, the concession will only be considered valid if it is witnessed by a scorekeeper, tournament director, or all members of a group. If a player attempts to use an invalid verbal concession to interfere with an opponent, the issue and resolution will be treated on a case-by-case basis, and the offending player risks receiving a score of zero for the game in question. 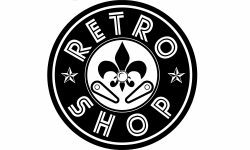 These tournament Rules by the International Flipper Pinball Association are licensed under a Creative Commons Attribution-Share Alike 3.0 United States License.